Good morning from Kennedy Space Center in Florida. A SpaceX Falcon 9 rocket and Dragon spacecraft stand ready for liftoff at Space Launch Complex 40 at Cape Canaveral Air Force Station. Launch is targeted for 10:36 a.m. EST today, with an instantaneous launch window. This is SpaceX’s first launch from Pad 40 in 2017. 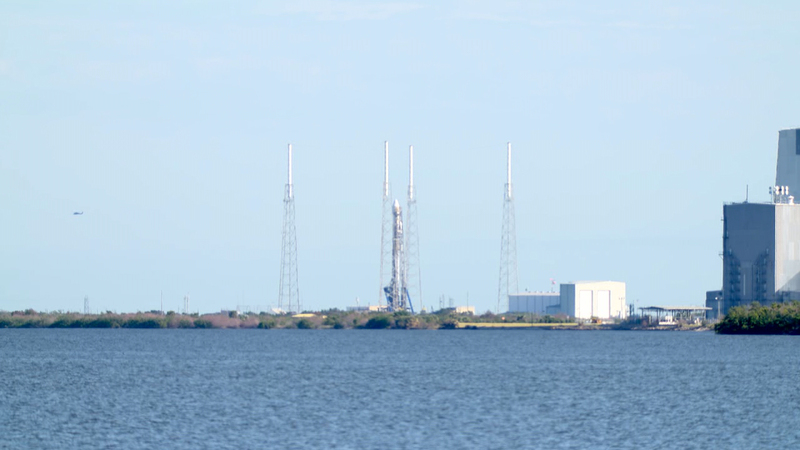 The Falcon 9 rocket went vertical this morning and weather is 90 percent favorable for launch. Next Next post: What’s on Board?